pure, energised, oxygenated water. Chlorine Free! 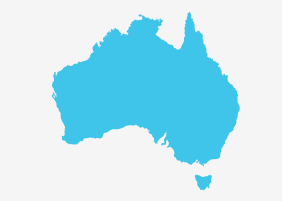 For over 30 years, SwimFresh has set the standard for pool and spa ozone water purification systems that keep Australian families healthy, refreshed and invigorated. SwimFresh pool and spa water is so pure and natural; it really is like swimming in silk. Combining three natural sanitisers - silver ions, ozone and copper ions - SwimFresh's range of Oxy Silver Purifiers sets the silver standard in supercharged oxygenated water for health, vitality and refreshment. 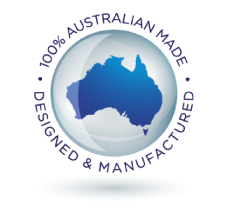 Because SwimFresh is designed and manufactured right here in Australia, it is the most superior Swimming Pool purification system on the market, engineered to suit our exacting standards and unique conditions. You will feel the SwimFresh Difference from the moment you immerse yourself in pure, energised, oxygenated water which is salt-free and chlorine free. It is a known fact that since 1984 every Olympic pool throughout the world is using Ozone Sanitation because the European Olympic swimmers will not swim in anything else but Ozone. The water treated with Ozone is extremely soft & pleasurable to swim in. Our pools are truly chlorine free & salt-free. We needed to replace our Chlorinator but we had friends who recommended for us to look into an Ozone pool. After doing some initial research we met with Leith and Jutta at the Pool expo who advised us of what the differences were with none of the typical sales pressures associated with other places. As we had a family member who was sensitive to Chlorine, this was an easy choice. The fact that there is no chlorine with the added benefit of the Healing properties of Ozone the experience last summer was a dream. No more smelling like chlorine and dry skin. Clothes and towels also now don't fade etc. You can stay in the pool all day knowing your body is not exposed to chemicals. The maintenance is real easy too with support just a phone call away if you have any questions. Leith and Jutta are such nice people it makes changing over a pleasant experience, thanks guys, should have made the move sooner. After having an old salt-water pool for many years we decided to include a swimming pool when we built our new home in Como. We reviewed a number of water sterilisation options including those more commonly used. After careful consideration we decided upon the SwimFresh system, primarily on the fact that the water just feels so nice on your skin. We actually think the water is even nicer than having a shower! The kids swim for hours and hours without the bother of stinging eyes or smelling like chlorine afterwards. The system has also been hassle free in its operation and the friendly and professional folks at healing water supplies provide a great product offering maintenance and regular servicing. Thanks Leith and Jutta, we love using our pool because of the SwimFresh system. After having our pool renovated with new plaster and upgraded equipment, we searched for a better way to sanitize the water and contacted Leith and Jutta from Healing Water Supplies. Being extremely knowledgeable, they set us up with a Ozone Renerating System combined with a Ionizer and we have been So Happy with our new pool ever since. Not only is the water crystal clear it also feels so much more natural and welcoming. We have had our swimming pool for just over two years and love the fresh sparkling water without the chemicals. After a long day, to jump into a pool that we know is safer for us is a great feeling and the running costs of the pool are lower than a 'conventional' chlorine pool. When we had our pool put it, the modifications required to make it a Swimfresh pool were quick and easy thanks to Leith and Jutta. The follow up assistance and advice provided was fantastic and we would highly recommend them to anyone. When considering whether to install a pool or not, SwimFresh was the only choice we wanted for our family. Although we agonised of pool shapes and paving, the easiest decision was to move away from a chlorine pool to a fresh water ozone, copper, silver pool. 3 years on and not a swim goes by we don't comment on how fresh it feels with no dry skin or dry eyes. Friends using our pool notice the difference immediately. Keeping the pool clean is easy and safer too with a reduction in chemicals being used. We love the SwimFresh Ozone system in our fibreglass plunge pool! Love the feel of crystal clear water, without the smell of chlorine or the taste of salt. Great for those with sensitive skin or eczema - silky smooth with no harsh chemical irritation. No need to shower after a swim and no need to rinse your swimsuit. Leith and Jutta are dedicated to fantastic customer service and are more than happy to help with any maintenance queries and ordering of supplies. Easy to test chemical levels, and easy to adjust when necessary. On Leith's recommendation we installed the SwimFresh system a few years ago and it has been the best decision we made. The system operates flawlessly and the anodes last for a long time, keeping ongoing costs very low. Friends who visit and enjoy our pool or spa without exception all rave about how refreshing and clean the water feels. They can’t believe how clean it can be without salt and chlorine, without even knowing how ozone works. Operating costs are much reduced and ongoing maintenance is low. I highly recommend this system for those who want to enjoy their pool, rather than regard it as a chore. After careful consideration and advise from our pool company who designed and built our concrete pool we decided on installing a Swim Fresh Pool System. Two years down the track I must say this is one of the best decisions I have made. The benefits we have found far out way any other salt water or chlorine pool for upkeep, maintenance and health. The ongoing costs to run this system are very low again compared to the other two, less chemicals, applications and time spent doing all the things we don’t like doing instead of enjoying the use of the pool like we should do. Be able to dive into a fresh water pool is an experience in itself, clean and fresh without having to shower when you get out or wash your garments and towels after use. Leith and Jutta's attention to detail and customer service is exactly the reason we keep coming back to Healing Water Supplies as our preferred supplier. As a new pool owner, we struggled with the most basic concepts and it took some time to get up to speed on how it all worked. Thanks to Healing Water Supplies, we were able to get our pool on track and receive support based on our pool type, size and location. I'd highly recommend working with Leith and Jutta if you’re serious about your pool health, and ultimately want to have a great swimming experience. We recently moved into our house with a SwimFresh Pool System, having no idea how to care for this type of pool I rang Leith and Jutta to get some information on the system. Leith and Jutta came out to see us and gave us a full run down on the system and were so helpful in making us feel comfortable and excited for our chlorine free pool system. Having young children with sensitive skin we feel this system is perfect for them to be able to spend hours of enjoyment in the pool without the horrible side effects like sore eyes and dry skin from the harsh chlorine systems. Both Leith and Jutta have been just a phone call away every time we have a query and are always ever so helpful. We highly recommend both the SwimFresh system and thank Leith and Jutta for their continued support with our pool maintenance!! Swimming in a Swimfresh pool is like swimming in silk . No chlorine smell, no need to wash off the chlorine, no damaged swimwear , no need to rinse them out , less need to wash towels , just hang them up ! With no chlorine you can also backwash into your garden - thereby Saving water. One of the great things about Swimfresh is that Leith, Jutta and their team are veteran pool people . It’s not just about Swimfresh . So let them help you look after your pool in general. I have found their service exemplary. The Swimfresh System has been amazing for us and our two little kids, also when having friends and family over, they have all been amazed that their skin felt soft and didn’t have the horrible chlorine smell. We absolutely love it. I want to send my gratitude to Swim Fresh for their expertise in setting up our fresh water pool. We are first time pool owners and their wealth of information was invaluable. They provided me an exceptional amount of information even after the unit was installed. I would highly recommend to all my friends and family. I am the Managing Director of Tallwood Constructions, HIA’s most awarded custom home builder in the South West. We have built some of the South West’s most iconic holiday homes. They nearly always feature swimming pools. I have been running a Swimfresh system on my own pool for the last 5 years and recommend them to all of my clients. 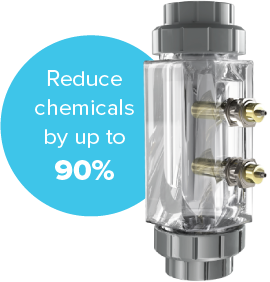 Coupled with an automatic acid dosser, the system is as close to maintenance free as possible and as such is incredibly cheap to run. The best thing is that the water is truly fresh with no smell or taste. The only downside is that you won’t want to swim in either a salt or chlorine pool ever again, which is a bit of a shame when you have paid a lot of money to stay at a resort. Our Swim fresh unit has been easy care and low maintenance, the water sparkles and is refreshing to swim in. After swimming you feel revitalised and great as there is no chlorine smells. Bonus .. we don't have to rinse the swimming costumes. This is the best thing I have done in ages. My family have eczema & psoriasis, we also have members of the extended family that have asthma, all of us have been able to swim and enjoy the pool since the SwimFresh system was installed without suffering irritation or breathing problems that comes with salt and chlorine pools. It is so nice to get out of the pool and not need to have a shower to get the chemicals off you. Along with the new filtration system and EcoGlass medium it is the cleanest healthiest and most enjoyable pool thing for summer autumn and spring. I would like to thank you for recommending the swimfresh system. It's soo easy to use. Pretty much set and forget. It sure beats the chlorine systems most pools are that burn your eyes and strips the colour from your clothes and affect tour skin. The swimfresh system water has enhanced my lawn and plants growth. I would be happy for any potential customer to contact me and ask any questions. We have the swimfresh system on our 7m x 4m domestic fibreglass pool. We love the softness of the water and often have comments from friends and family who also notice the lack of smell and odor other pools have. We run the pool all year round, with the addition of an electric heater and have even had to turn the system down to minimum to reduce the saniation the system produces in the water. We love it as a family and I love it as it is so simple to control and use. Healing Water installed a Swim Fresh system on our new plaster finish pool and spa in October 2016. The pool has stayed clear since the installation, the consumable use has been exactly as described by Swim Fresh and the system is really easy to use, all I’ve had to do is change the electrodes once in the 2 years and dose with the recommended Ozone Accelerator. The pool is fantastic to swim in without any chlorine or salt and there is no need to shower to get rid of the chlorine smell once you jump out of the pool. We have a lovely pool now with fresh clear non chlorine water that the family enjoy. With minor teething problems with the installation (which was sorted quickly) and now with regular servicing, we have a low maintenance system with no problems. The technicians are very obliging and seem to have a lot of experience. I would not have an issue in recommending the system and maintenance service to anyone. We had the SwimFresh system installed in our 15,000L pool in December 2015 after encountering unending problems with salt chlorination. The difference in water quality is amazing and we don\'t need to be concerned with corrosion from the salt water in the pool. Most importantly the great advantage of this system is that it\'s very gentle on the skin and eyes, especially when young children use the pool through summer. The system works brilliantly and apart from regular monitoring it needs very little in the way of maintenance compared to the more traditional salt water system. The number of input chemicals is also reduced so you don\'t have to keep going back to the pool shop for all the different chemicals. The after sale service from Jutta and Leith is fantastic and they\'re always able to assist with queries and questions. 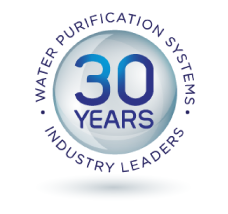 We thoroughly recommend this system to anyone who values great water quality! My wife and I recently had a Healing Fresh Water System installed into our newly renovated swimming pool and after 2 months of operation we are so far delighted with the result. Leith arrived on the chosen day and very efficiently installed the system, turned it on and gave a great explanation of its operation. We love swimming in Fresh Oxygenated, crystal clear Water and have no hesitation in recommending Healing Fresh for anyone considering this system. Swimming in our SwimFresh pool is like taking a dip in a freshwater lake. We have no itchy eyes, no chlorine smell, no more bathers falling apart from toxic chemicals, no need to waste more water by taking a shower after every swim! our pool is really clear, clean water. Since changing our whole filter system to Swim Fresh we have not had one problem. We had a lot of problems with another fresh water system before switching to Swim Fresh. It is the easiest pool to look after and a delight to swim in. We have had many comments from people saying how nice the water is to swim in. 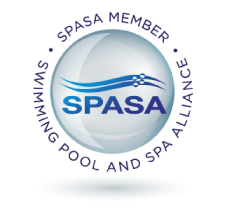 It is cheaper to run than a chlorine or salt pool as there are hardly any chemicals needed. Having a local WA agent makes it so easy to contact them to ask for any advice if needed. The service I have had from the SwimFresh team is excellent. 12 months ago we had Healing water supplies install an ozone system into our pool. Being very health conscious we refuse to use the conventional chlorine methods and have tried different systems with good success, but very expensive and time consuming. It has now been 12 months of pure bliss, perfectly sparkling clear water, hardly any power cost\'s and the added benefit of one of the healthiest waters to swim in. Leith and Jutta Wilkinson are professionals in this game and I have no hesitation in recommending them for all pool needs. Plus they are really nice people. I just love my pool, Leith and Jutta came up and installed my SwimFresh System in October 2014 and I was impressed with their service and dedication to making sure I fully understood how to care for Fresh water pool. They never rushed the visit and still pop in every time they visit Geraldton. Good old fashioned service. They said I would need to add a little bit of Ozone Accelerator and Ozone Activator during the swimming season, but I never did, I have 3 dogs that swim in the pool regularly and was amazed how easy the pool is to look after. As I built my pool myself Leith gave me good tips and a thorough plan to build a pool with exceptional circulation and SwimFresh has never missed a beat keeping it fresh and clear. My pool is a huge 13m x 6m wide and is 145,000litre and I cannot highly recommend Swimfresh enough to anyone who is looking at having a pool that is truely chlorine free. We had a SwimFresh Ozone purification system installed in our new pool last Spring. Being able to swim in fresh water, without the stinging eyes and smell of chlorine has been a revelation. The water cleanliness and quality has been superb. We have an automatic pH controller which trickles in a very small amount of acid when needed to maintain the pH, but that is really the only thing we need to buy. The sales backup and maintenance from Healing Waters has been exemplary, and we can\'t recommend both them and the SwimFresh system highly enough. 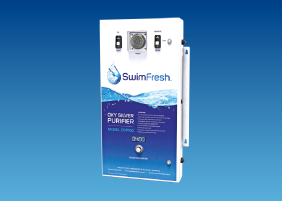 In December 2014 we engaged Healing Waters to install a SwimFresh OSP100 into our recently installed 45,000L pool. The installation was prompt and efficient and the quality of the product is second to none. A fresh water system without chemicals was always on my wish list after I read about Ozone systems on the internet. A visit to the yearly pool show was in order and that was where we came across Leith and Jutta at Healing Waters. Having a no chlorine injection or salt/chlorine system made this a no brainer solution to us as a family. It\'s nice to have a swim and not have to then bother about having a shower to get rid of the chlorine and salt afterwards. Friends are wowed with the feel (and taste!) of the water and to some people, no concerns over chlorine and salt skin reactions are a huge plus. The SwimFresh unit incorporates a copper/silver ionisation system that prevents bacteria & algae growth. This is part of our SwimFresh OSP100 system and functions flawlessly alongside the gentle bubbling of Ozone coming through the pipes on the return lines into the pool. Our water is highly oxygenated and this can be seen after plunging into the water followed by fizzing and bubbling all around you. You generally do not get this extent of oxygen content in normal pools. Running costs are very low with the SwimFresh unit costing less than 1 unit of electricity a day - about 22 cents per day based on 8 hours running per day - less in winter (about half ). I run with a variable speed pump so over all it probably costs me about $1.00 per day for the total system including pump. Another added advantage to this system is when back washing. The water can be used on your gardens as there are no chemicals as mentioned above. A great feature in today\'s world and here in WA. Healing Waters have been great from day one and a pleasure to deal with. Knowledge of the system is fantastic with Leith and Jutta always willing to answer any questions you may have and to assist as required. We have just had a SwimFresh Ozone System installed on our new pool and could not be happier with our decision. After many months of research into the different water sanitising systems available on the market the decision was easy to go ahead with the chlorine free SwimFresh Ozone System. With myself suffering from psoriasis for the last 20 years, swimming in chlorine pools has always irritated my skin to the point of becoming very painful. Since swimming in the Ozone water not only do I not suffer the irritation of my psoriasis but to my amazement have actually found the dry, scaling skin to be clearing up after swimming in the water. Hopefully this will eventually reduce the amount of strong prescription creams that I need to use to control the symptoms. Our two children also have sensitive skin and they have not shown any signs of irritation either, which all points to many years of happy, healthy pool use ahead for us. We are also really impressed by Leith and Jutta\'s after sale service, they are always happy to answer any questions we have had and Leith\'s monthly service gives us peace of mind that our pool is in perfect working condition. Thanks Leith and Jutta, keep up the great work you are doing.